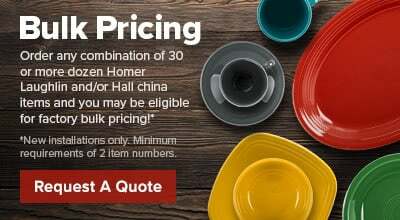 Complement your most popular appetizers, entrees, sides, and desserts with delectable sauces served in the Hall China 1170ABWA bright white 8 oz. stacking china ramekin. It features a pleated side and smooth rim for added interest. Each Hall China 1170ABWA bright white 8 oz. 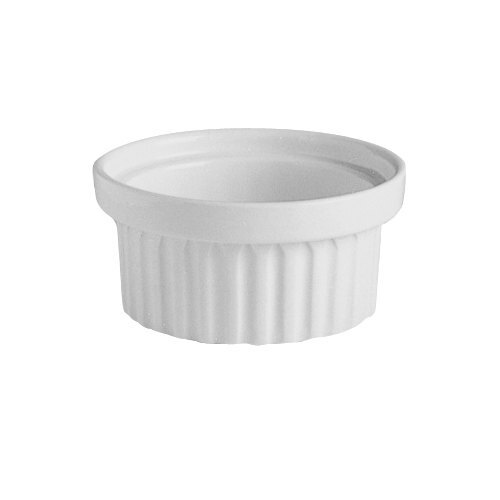 stacking china ramekin is designed to provide the best heat and cold retention available, so side dishes such as mac-n-cheese, and desserts such as mousse stay fresher longer. This Hall dish is durable and very resistant to chipping. Keeps the bright white shiny finish, and makes for an elegant presentation. I love this brand of china.